Urine Culture Kit (with Prepaid Coupon) is rated 5.0 out of 5 by 1. Urinary tract infection is one of the most frequently occurring bacterial infections in humans. Students learn what causes these infections and how they may be prevented. They compare cultures from their own urine specimens to 2 positive bacterial controls. Note:Keep bacteria cultures at room temperature; do not incubate or refrigerate. 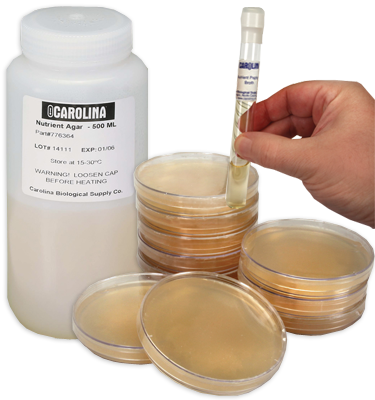 Refrigerate agar until use; do not freeze.